Arestelle is back above ground, and spring is near, so she lightened her look again. 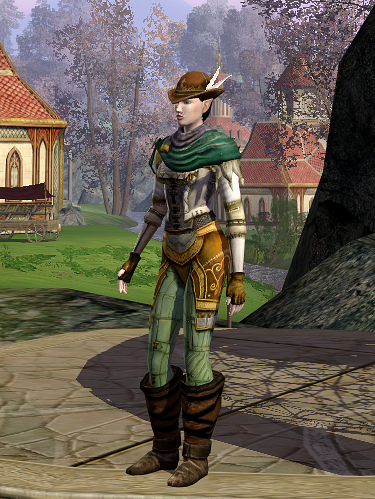 I was surprised by the minty green color of the leggings when washed, so I ran with that. 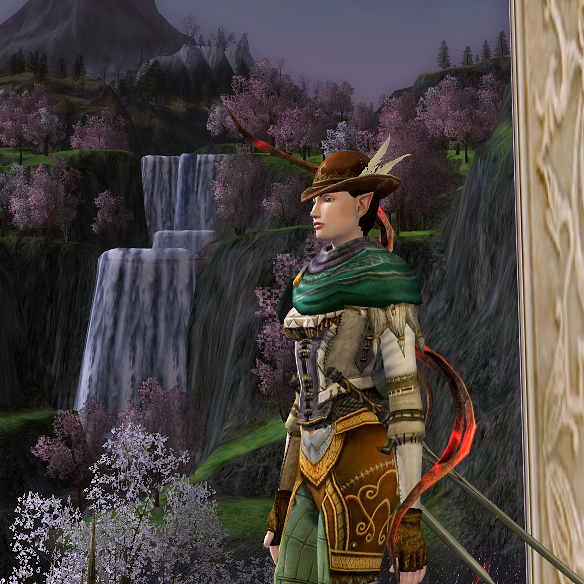 I originally had the sienna-dyed Gardening Boots with this and haven’t gotten around to re-dyeing the gloves and hat umber to match the new boots (only the calf section of the boots dyes, so making them sienna might not work as well). 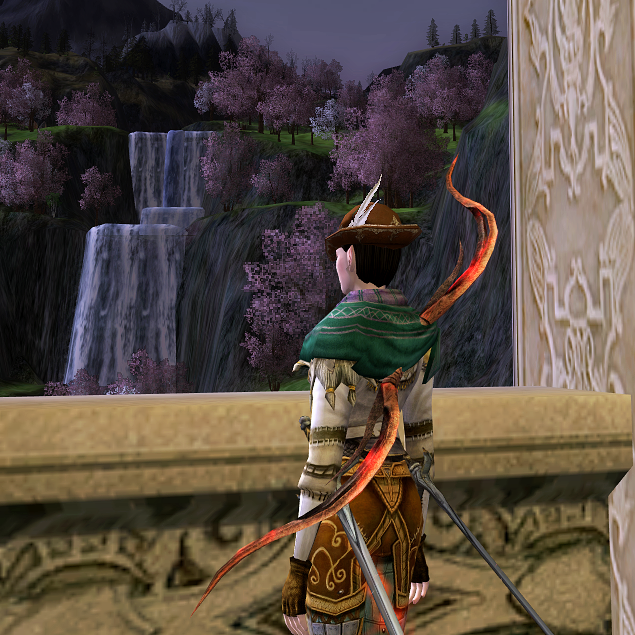 This entry was posted on 2014.03.26 by vyh in Outfits and tagged arestelle, brown, cosmetics, green, hunter, light, lord of the rings online, lotro, outfits, turquoise, white.